As a renowned video-sharing website, YouTube is highly sought after by a large number of users. Though it gives users utmost right to enjoy good time and allows any of you to upload, view, share, rate, report, add to favorites, comment on videos and subscribe to other users, its distinct shortcoming, YouTube does not usually offer a download option for its videos, still cannot be ignored. However, problem is that majority of users might feel like to save attractive videos locally for future playback. To let you slip the leash from YouTube's inability to directly download video, we are going to show you a list with top 6 YouTube video downloaders included. When it comes to download video from YouTube, Joyoshare Screen Recorder can be put on the top priority as it gives more possibilities for you to manage your YouTube videos. Thanks to its advanced screen capturing technology, you are allowed to grab YouTube video with related audio in perfect synchronization. Notably, you can at the same time capture system audio or microphone sound as per actual needs. This dedicated YouTube video downloader software can give you liberty to download and record whatever you like offline in high quality. Flexibly, any unwanted content can be skipped straightly and the required YouTube video can be cut into different sections handily. This smart tool also lets you customize format parameters at your will, including codec, resolution, bit rate, sample rate, channel, etc. 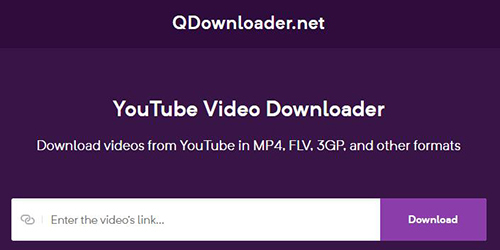 QDownloader is an online YouTube video downloader that includes full support to download videos from YouTube and save files as MP4, FLV, 3GP or other formats. Aside from YouTube, it even supports more than 800 websites, like Facebook, Twitter, Vimeo, Live Leak, Instagram, etc. Therefore, you can copy and paste any video's link to this powerful site to download. Having download YouTube video completely, you can see more available options that enable you to "Download Video with Sound", "Download Audio only" or "Download Video with Sound" according to your requirement. Moreover, every part is shown with different quality, format and size so that you can better confirm your own decision. Online Video Converter is another simple YouTube video downloader converter that is capable of downloading videos from not only YouTube, but also Vimeo, Dailymotion, Youku, VK, Break, Funnyyordie, etc. It can be fully compatible with modern browsers without any hassle. Importantly, there is no registration requirement as well as software installation so that you can directly take advantage of it. One more dominant feature is that this lightweight tool comes with unlimited free conversions and downloads, which helps you download and convert videos at high speed and in diverse format. y2mate is a superior free YouTube video downloader that is able to download both video and audio from YouTube with few easy clicks. Nearly all video formats can be supported for trouble-free downloading, such as MP4, M4V, FLV, WMV, MP3, WEBM, etc. Similarly, this compact downloader also does a good job to downloading thousands of videos free of charge from YouTube and other websites, for example, Facebook, Vimeo, Youku, Dailymotion, etc. at fast speed. Meanwhile, the specific video can be displayed in different format and you can get them downloaded locally by referring to its resolution, file size and file type. YooDownload can have high performance in downloading YouTube video online without Java or any 3rd-party plugins or extensions. As a result, you don't have to be surprised at its striking efficiency. Taking the aid of it, you are empowered to get videos from multiple video sites and save these favorite files with all available formats (up to HD). One thing has to be mentioned here is that this YouTube video downloader app currently is limited to videos that don't exceed 20 minutes. If you would like to download video from YouTube and convert it to MP3, Savemedia is also a good choice. It helps you carry out a downloading process with only 4 steps: copy video URL, paste it into box, press blue button and select format to download. Amazingly, this straightforward YouTube video downloader site facilitates you to download your video file either to local computer or to mobile phones. The video you choose can be output at up to HD resolution as well. Of course, you can feel free to download video with audio or only audio as you please. It's high time you should pick up one appropriate YouTube video downloader to download desired video files from YouTube for offline playback. Generally speaking, they are worth-trying and sufficient enough to fit for your specific requirements. 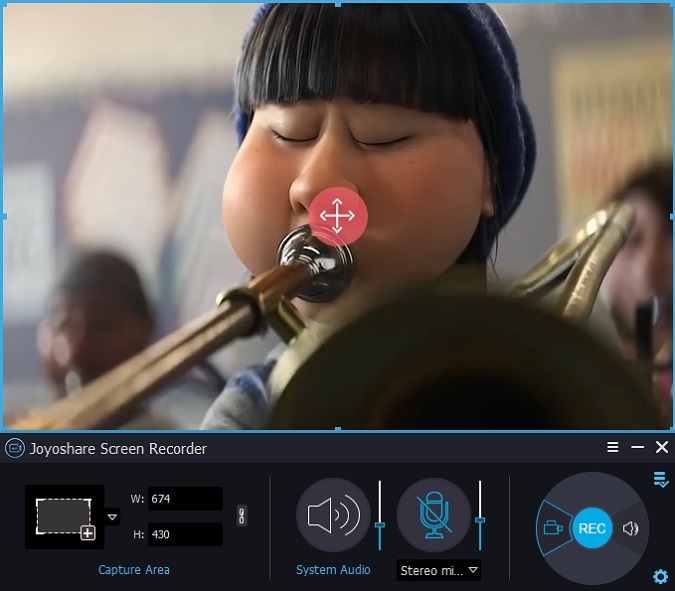 But if you prefer to save your video to any popular format or portable device, Joyoshare Screen Recorder can come in handy.